It is our pleasure to welcome you to the Police Communication Dispatcher career section of the Arizona Department of Public Safety’s (AZDPS) website and thank you for your interest in a career with our organization. 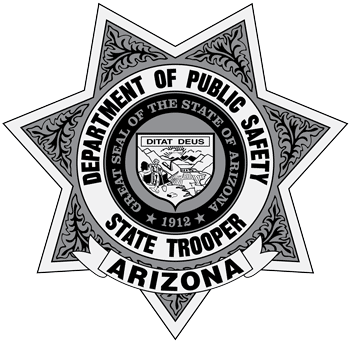 The Arizona Department of Public Safety is seeking diverse and motivated individuals who have an interest and desire for a rewarding law enforcement career. Dispatchers play a crucial role within law enforcement and public safety. Below is a brief job overview. For additional information, including preferred abilities and skills and benefits, please click here. Under direct supervision during training period, and under limited supervision thereafter, is responsible for simultaneously operating a multi-channel radio console and a multi-line telephone, while maintaining computer-aided dispatch systems and other computer systems. Responsible for receiving, coordinating and disseminating critical information from various sources and maintaining radio contact with mobile/field units to monitor response, progress and any needed support. This position works in the Communications Center which is responsible for answering 9-1-1 calls in a 24/7 operation. Note: These are just a few of the essential functions of the position. Answers, evaluates and prioritizes incoming telephone calls, communicating effectively with various callers to obtain complete information to determine urgency and need for dispatching police, fire, towing and/or medical response using a computer-aided dispatch (CAD) system, telephones, multi-channel radio, TDD (text telephone device for hearing/speech impaired), numerous computer databases and maps. Simultaneously maintains close contact with field units, communicating with Department employees, other law enforcement and criminal justice agencies, emergency service providers and the general public to obtain and disseminate information. Retrieves information from automated files to respond to queries from a variety of sources by typing correct password keys, information masks or special alpha number string formats on computer strings. Inputs, updates, requests, transmits and queries information from a variety of sources to maintain current accurate records or to access databases for information, wants and warrant checks, intelligence, and/or driver license and vehicle registration checks by typing on a computer keyboard. 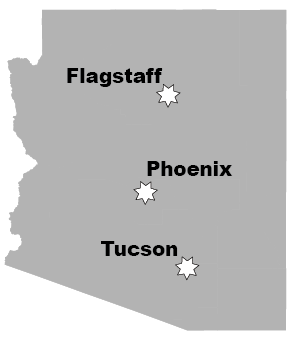 Reads/interprets maps for the public, field personnel and other law enforcement/criminal justice agencies in order to assist in locating certain geographical areas using an Arizona state map, U.S. atlas, city and county maps, and various computer mapping systems. Interprets telephone or radio call locations from maps by applying knowledge of state highway system and geography in order to provide appropriate and timely assistance. 24 hour/7 day emergency dispatcher center operation setting. Work is performed in a confined area with limited mobility. May be required to sit for extended periods of time with limited or no breaks.